What's your posture looking like? Whether we have an active or sedentary job, we can often be placing an enormous amount of physical stress on our bodies. Are you sat at the desk all day, out in the fields on the tractor or doing the same things over and over again? Whatever the case, the strain adds up on the body. And at some point, our body becomes less forgiving. This is when people start to notice reduced function and pain. Poor posture has an effect on many aspects of the body – it has been linked to depression, reduced lung capacity as well as aches and pains. Most people understand that correct posture is important, but many do not know how to achieve this. 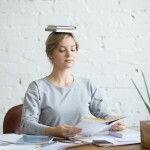 Good posture involves training your body to sit, stand and walk in positions where there is the least strain placed on the body – but this can be easier said than done. Chiropractors are expertly trained in detecting areas of poor posture and how to correct them. Chiropractic adjustments stimulate the nervous system differently depending on the area of the spine being adjusted. To increase the nervous system’s ability to master spatial awareness, adjustments are most beneficial in the upper neck (cervical spine)1,2,3. This can help you regain a greater sense of where your body is in space, which allows you to identify when your posture is not optimal. We can facilitate you in retraining your body to be as effective and powerful as you need, without the worry of aches and pains from poor posture. We will also guide you on your work environment, to ensure that it is set up for your body (rather than the standard norm). This will encourage consistent correct posture, which will make your working day easier and leave you with more energy in the tank for home life. If you’re doing something all day long, you want it to be done properly! Contact Shrewsbury Family Chiropractic for more information on how to begin your journey to a better posture.